Article 41 of the Colorado Code establishes a system called workers’ compensation that is designed to provide benefits to individuals who suffer a work-related injury. Under the workers’ compensation system, injured employees receive payment for medical bills and 2/3 of their lost wages. They also receive temporary or permanent disability benefits for either partial or total disability, as well as certain other defined benefits if they suffer a permanent medical impairment. Some of these benefits, including those for disability, are typically paid over time. Payment over time can be a major hindrance in many cases as you are forced to continue dealing with the workers’ compensation insurance company again and again. Fortunately, under certain circumstances, the law allows for lump sum payments instead. 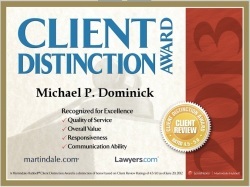 If you are interested in lump sum payments, The Dominick Law Firm can help. Our Boulder workers’ compensation attorneys work throughout Boulder, Thornton, Longmont, Louisville, Lafayette, Erie, Broomfield, Lyons, Mead, Loveland, Wheatridge, Greeley, Ft. Collins, Superior, Denver and the entire Colorado front range and can assist you in determining eligibility for lump sum benefits and in requesting these benefits. If you live in this area and need assistance with getting lump sum payments, contact us today at (303) 447-2644 or using our online form for a free consultation to learn how we can help. Certain types of workers’ compensation benefits are always paid as a lump sum. For instance, according to 8-42-123, burial expenses up to $7,000 are paid as a lump sum within 30 days of a work-related death. Further, under 8-42-120, a widow who remarries after her spouse died of a work-injury is entitled to a two-year lump sum death benefit payment upon her remarriage (less any lump sums already paid previously). Colorado Code Section 8-43-406 provides the opportunity to receive a lump sum payment to workers who have suffered a permanent injury. According to this code section, after six months have elapsed from the date of the injury, you can elect to take “all or any part” of the money owed to you in a lump sum. In order to do this, you will need to provide written notice of your request for a lump sum payment and of the amount requested. When your written request is submitted, the workers’ compensation insurer must calculate the appropriate amount and file notice that the sum has been paid within 10 days. You must be informed of the method of calculating lump sum benefits and, if the claimant is unrepresented, this calculation must be based on the present worth of partial payments and based on an assumed interest rate of 4 percent per year. Regardless of the calculation, the lump sum payments awarded may not exceed $60,000. Under this Code section, Colorado workers’ compensation law also makes clear that the right to receive a lump sum payment cannot be conditioned upon your waiver of your right to pursue permanent benefits for total disability. Unfortunately, sometimes insurers don’t pay the lump sum benefits as required, don’t calculate them fairly, or try to force you into giving up your legal rights in exchange for your lump sum payment. To prevent this from occurring, you should consider getting help from a Louisville workers’ compensation lawyer regarding your lump sum benefits. The Boulder workers’ compensation lawyers at the Dominick Law Firm have assisted clients in requesting and receiving lump sum payments throughout Boulder, Longmont, Louisville, Lafayette, Erie, Broomfield, Greeley, Ft. Collins, Superior, Denver and the entire Colorado front range. If you live in this area and need assistance with your request for lump sum payments, contact us today at (303) 447-2644 or using our online form for a free consultation to learn how we can help.